Donald William Dooley was born July 26, 1919 in Indiana. Donald’s parents were Guy T. (1893 to 1992) and Dora Laverne McWilliams (1893 to 1988) Dooley. Donald had an older sister, Dorothy, who was about 2 1/2 years older than Donald. In 1920, the Dooley family lived in Walker, Jasper County, Indiana where Donald’s father, Guy, was a farmer. By 1930, the family had moved to Bloomington, Monroe County, Indiana where Guy Dooley worked as a foreman at a furniture factory. 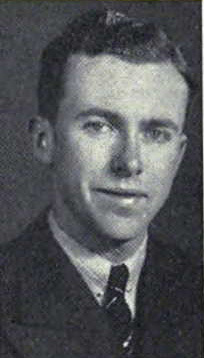 Between 1938 and 1940, Donald attended Indiana University in Bloomington. On September 10, 1941, at the age of 22, Donald enlisted in the Army Air Corps at Fort Benjamin Harrison, Indiana. His enlistment record notes that he resided in Marion County, Indiana at the time of enlistment. Marion County encompasses the greater Indianapolis area. His enlistment record also notes that he was working as a salesperson at the time and was single. In WWII, Donald served with the 482nd Bombardment Group (P). The “P” stood for Pathfinder. The 482nd was activated on August 20, 1943 at AAF Station 102 in Alconbury, Huntingdonshire, England for the purpose of providing pathfinder (PFF) lead aircraft for other bomb groups, specifically through the winter of 1943 to 1944. The 482nd had the distinction of being the only 8th Air Force bomb group to be formed outside of the United States during WWII. Before the Pathfinders, in 1942 and 1943, the Norden bombsight was used for visual precision bombing in the ETO (European Theater of Operations). However, poor weather conditions often caused problems when the target could not be clearly seen. 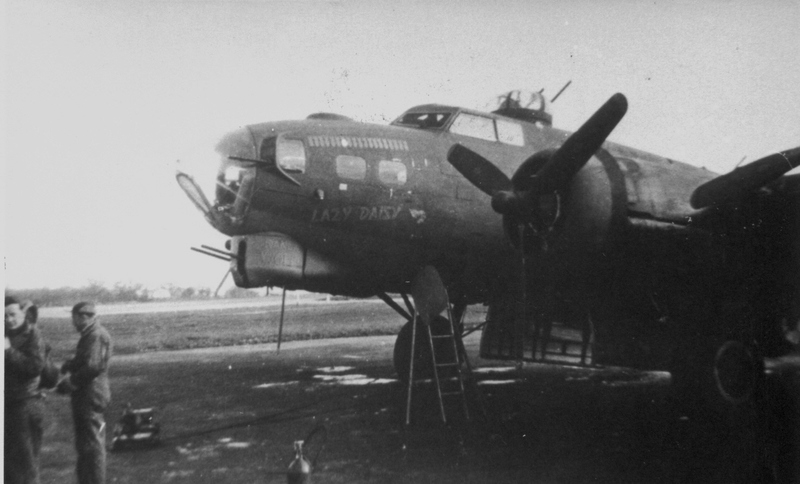 The 482nd worked to prove a new radar bombing technique to resolve the issue. These new top secret radar platforms were called BTO – Bomb Through Overcast and were used against Nazi Germany. 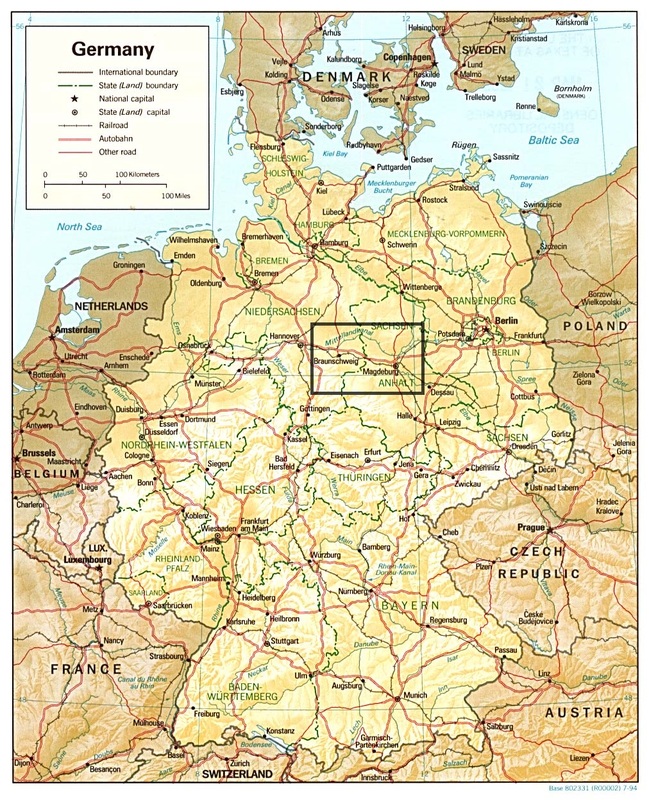 The 482nd Bomb Group’s last radar-led combat mission was March 22, 1944 to Berlin. On March 23, the 482nd ceased combat operations and became a radar training center and research and development operation. It did, however, undertake special operations, particulary on D-Day when eighteen 482nd crews were provided to lead bomb groups. With the change, 482nd personnel were dispersed to other bomb groups. Donald William Dooley was transferred to the 384th Bomb Group. He was assigned to the 384th BG Hq Det on AAF Station 106 Special Orders #147 dated July 25,1944. He was then reclassified from MOS 867 (radar mechanic, bombardment) to MOS 757 (radio operator/gunner) and transferred from Hq Det to the 545th Bomb Squadron of the 384th on SO #179 dated September 8, 1944. Donald’s first, and only, mission with the 384th Bomb Group was with the James Joseph Brodie crew on September 28, 1944. He replaced William Edson Taylor on that mission as the crew’s radio operator/gunner. 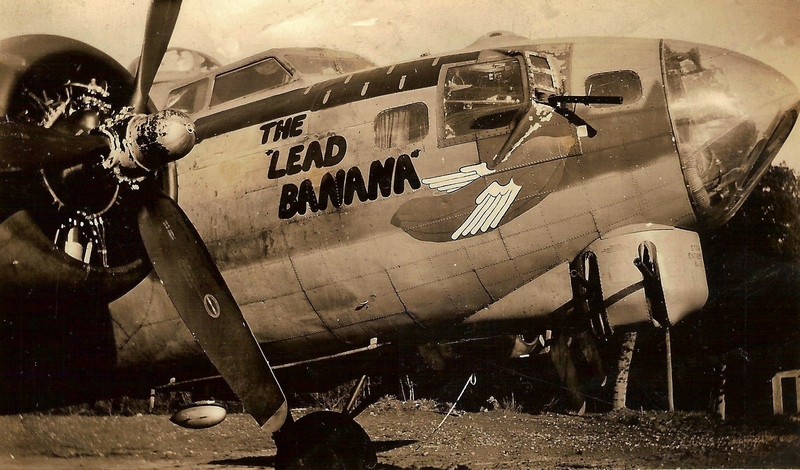 The change put him on Lazy Daisy that day, where he was killed in the mid-air collision with the John Oliver Buslee crew aboard Lead Banana coming off the target at Magdeburg. Donald lost his life at the young age of twenty-five. He is buried at the Valhalla Memory Gardens in Bloomington, Monroe County, Indiana. Information on the 482nd Bombardment Group was obtained from http://www.482nd.org/. MOS means Military Occupational Specialty.